Beyond The Secret is a compilation of real life stories by real people that have experienced the Law of Attraction at work in their own lives and includes many Master Teachers who share powerful life changing information that drives you to create exciting new ways of thinking! Holli Walker (the creator of the movie) spent 18 months researching her stories and interviewing 10 of the most respected and experienced personal development Master Teachers along with many ‘ordinary’ people from all walks of life who share their amazing experiences with the Law of Attraction. The Beyond The Secret DVD is fully loaded with easy to understand ideas and practical advice that you can start using immediately to achieve whatever you want in life. The movie runs for 70 minutes and is very fast paced. It bombards you with message after message after message, which is why I recommend you watch it very closely without any interruptions, and more than once! As the title of the movie suggests, this movie really takes you forward from where The Secret by Rhonda Byrne left off. The Secret showed you what the Law of Attraction is all about and how it has been used by many people throughout the world and throughout history to achieve success in many different areas of their lives. 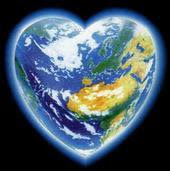 Beyond The Secret finally answers the questions “What Do I Do?” and “How Do I Do It?”. It gives you a new set of tools to make the Law of Attraction work for you in any economy, in any situation and for everyone. 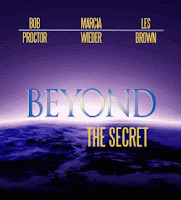 In addition to Holli Walker and the cross section of real people who explain how the Law of Attraction has greatly improved their lives, the main stars of the movie and Master Teachers include Bob Proctor, Les Brown, Marcia Weider, Christian Simpson, Paul Martinelli, Mark Moffit, Steve Siebold, Ricki Byers Beckwith and Mary Morrissey. The Law of Attraction is amazing. I have recently been using it for my guitar playing. I actually manifested the exact band and job I wanted through visualizing. I liked your article. I recommend watching "The Secret behind The Secret"
While I like the general ideas expressed in this movie the way they present them is undoubtedly wrong imho... I mean, there's a reason why they took out scenes and why some of the people in the first movie are rejected in this one. Watch "The Secret Behind The Secret"